One of the most exciting and influential revelations of my life has been my encounter with the rich and varied possibilities entailed in “learning Gemara.” This includes both the process, including the multiple paths and methodologies of study, as well as the results, the multifaceted forms of understanding or experience that are sought or achieved. Amital zz”l, Rosh Yeshiva of Yeshivat Har Etzion, once commented that it used to take a generation for a new generation to emerge; now it happens every few years! This observation is particularly relevant to the study of Gemara, as we shall see below. Over the last thirty years, I have witnessed how dynamic and changing the study of Gemara truly is. Along with my enthusiasm for many of the new methods and techniques, I have also become increasingly aware of the challenges they present. I have learned that every new approach has its price. My reservations have sometimes led me to reconsider the value of certain methodologies, but more often they have encouraged me to a search for ways to overcome these obstacles and shortcomings, a process that itself has often led to new forms of creativity. Many of these new approaches provide opportunities for “spiritual” elements in Gemara learning that are absent in the traditional approaches. “Spirituality” in this sense refers to the quest for meaning and personal significance, and that is how I use the word in the context of this discussion. The first part of this article is descriptive; it presents the stages of my journey to discover what “learning Gemara” means. I will then present models for implementing some of the lessons I have learned within the framework of the contemporary beit midrash. I present only what I know from personal experience; it is beyond the scope of this article and my ability to present the totality of the phenomena of the emerging methodologies. Thus, this section will focus on how new methods are applied in the Hesder Yeshiva of Otniel, where I teach. Finally, I will present an attempt to grapple with some of the problems, pitfalls, and even dangers that may result from the use or misuse of these approaches. My purpose is not to promote the particular methodologies discussed here, nor to debate the merits of these approaches in relation to others. Hazal teach us that “ein adam lomed Torah ella mi-makom she-libbo hafez” (Avodah Zarah 19a) – a person learns best from a place that his heart desires, and I believe that this concept includes not only what one learns but how one learns it. Similarly, the principle of “yagdil Torah va-yadir” (Is. 42:21), of strengthening and glorifying the Torah, is fulfilled in part by the fact that there are so many different ways to learn. The fact that different yeshivot learn Torah differently is therefore “le-khatchila” and not “be-diavad.” My goal in this article is thus primarily to share my own experience and perspective about the possibility of implementing these methodologies with those who are inclined to learn about them. Since the ideal way to learn about these new approaches is through examples, and I will cite links to internet materials that serve as illustrations for ideas discussed here. When I first began learning Gemara in elementary school, I thought that the hallmark of a talmid hakham was his ability to translate the difficult Aramaic words of the Talmud. Some time during high-school, I discovered the important role of asking questions and seeking answers. The fundamental litmus test of scholarly development thus became what types of questions are asked and what forms of answers are sought. 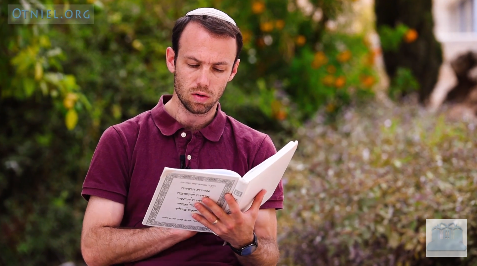 When I began my studies at Yeshivat Sha’alvim, I was taught that the goal of study is not only the understanding of a particular Rashi or Tosfot, but the comprehension of the topic that is presented by the Gemara and discussed by the Rishonim. As a student of R. Ahron Soloveichik and R. Michael Rosensweig at Yeshiva University, and later as a student of R. Aharon Lichtenstein at Yeshivat Har Etzion, I first encountered the approach that sought to uncover and analyze the conceptual ideas underlying the topics discussed in the Gemara (“Brisker” analysis). At each of these stages of my learning, I was convinced that the basic methodological possibilities of how to relate to the Gemara had been exhausted, but I was proven wrong time and time again. I soon discovered, however, that this philosophical inquiry is not highly regarded at some of the institutions in which I had studied, in part because of ideological and theological issues that these methodologies present. In a lecture I once heard during Hanukkah, a prominent Rosh Yeshivah explained that the difference between Hellenism and Judaism is that the Greeks asked not only “what,” but also “why.” Another Rosh Yeshiva brought Korah’s rebellion as an example of the dangers in searching for the philosophy of mizvot (based on his understanding of Rashi’s comment at the beginning of the parsha). I later heard R. Kook’s son, R. Tzvi Yehuda, quoted as warning that combining Halakhah and Aggadah violates the prohibition of kilayim; it is a forbidden mixture. My second discovery related to the academic world. Sensitivity to textual aspects of the Gemara, which I imbibed from my Rebbe Muvhak, R. Shmuel Nacham of Sha’alvim, led me to explore this type of study in the venue of academic scholarship at Bernard Revel Graduate School, primarily with Professors Ya’akov Elman in relation to Talmud and Haym Soloveitchik in relation to the Rishonim. Academic Talmud scholarship deals with the entire gamut of sources in Hazal, not only the Bavli, but the Yerushalmi, Tosefta, Midrashei Halakhah and Midrashei Aggadah as well. More significantly, each source is understood on its own terms. This is in contradistinction to classical approaches, in which the Torah She-be-khtav is defined exclusively by the Torah She-Be‘al Peh, the Mishnah by the Gemara, the Yerushalmi by the Bavli, and the Bavli itself by the Rishonim. Indeed, when a friend of mine commented that the “Book” referred to in the phrase “People of the Book” was once the Bible, but it is now the Gemara, a second friend disagreed, claiming that what is in fact studied in the yeshivot is primarily rishonim. The academic methodology takes a different approach. Part of the richness of the experience of traditional Talmudic learning is the study of a variety of different opinions, the “shiv‘im panim la-Torah.” We can relate to the lamdan’s joy in contrasting the approach of Rambam with that of Tosafot, for example. An approach that views each work of Hazal in its own light, as the academic approach does, reveals many more possibilities! The differences between the Bavli and the Yerushalmi are often much more fundamental then those between two Rishonim who are ultimately focused on interpretation of a particular passage in the Bavli. Although this approach does not limit the study of a source to its classical commentators, this does not necessary lead to rejecting or differing with those commentators. Rather, it stresses that we can only understand why Hazal interpreted a text the way they did if we are sensitive to the fact that the derash is not identical with the peshat. Viewing the gemara on its own terms also allows us to deal with questions and categories to which classical commentaries did not relate . As enthusiastic as I was about this type of study, I quickly realized that the opposition to philosophical inquiry in relation to Halakhah pales in comparison to the opposition to textual methodologies. The possibility that there was a process of development within Halakhah, as suggested by the academic approaches, is antithetical to a perception of the Torah as abstract and unchanging. In addition, if this method leads to an interpretation of texts that differs from the classical interpretation, it may undermine the authority of these sources and, thereby, the binding nature of Halakhah. In Israel in particular, the polemics against these approaches have been fierce. These include attacks against the attempt to interpret Tanakh outside of the prism of Hazal, as well as against “Revadim,” an approach that aims to make the student aware of the stages in the Gemara’s development (Tannaim, Amoraim, Stammim, etc.). Both of these polemics were spearheaded by R. Zevi Tau of Yeshivat Har Ha-Mor, the leader of the movement referred to as “Yeshivot Ha-Kav” (“The Line”). A full discussion of these polemics is beyond the scope of this article, but I will offer a partial response below. The development of new approaches to Gemara study did not end with the philosophical and academic methods. One of the most fruitful methodological developments in recent years is the literary approach, which forges the textual with the conceptual. This approach studies the structure of a text and its use of language in terms of word-plays and imagery in order to ultimately uncover the meaning of the text. These methodologies where first applied in Torah study in regard to Tanakh and Aggadah, most prominently at Herzog College in Gush Etzion. It was and is promoted by teachers such as R. Mordechai Breuer z”l, R. Yoel Bin Nun, and R. Yaakov Medan and through the Tanakh journal “Megadim.” A major turning point in my learning was exposure to the work of R. Avraham Walfish, who applied these methodologies to the texts of the Mishnah. From the Mishnah, it was but a small step to apply this approach to other sources in Hazal, including the Gemara, and R. Walfish and others have continued exploration in this vein in recent years. “Netu‘im” is a Torah She-Be‘al Peh journal edited by R. Walfish that includes many articles that utilize the literary approach. In particular, the first issues include a series of methodological articles by R. Walfish that I found very significant. In the mid-1990’s, the desire to forge the tools of the academic world with those of the beit midrash brought me back to university, this time Hebrew University in Jerusalem. In yeshiva, I had studied the philosophy of Halakhah in the context of the holiday of Sukkot. One of the major critiques of attempts to link Halakhah and mahashavah is the lack of rigor and the unclear boundary between peshat and derash in many of these attempts. Thus, efforts in this vein have generally been regarded, often rightfully so, as homiletics. I hoped that developing my findings in the course of a doctorate would help grapple with this challenge. My goal was to fine-tune the approach by utilizing the methodologies offered in the academic world and through the very fact that my findings would be open to critique; my advisors, various doctoral committees, the judges of my dissertation, and the editors of journals and their professional readers would evaluate my work. Generally, each of these stages does not end with a simple approval, but rather with long lists of questions to be dealt with, with rejection of particular ideas, and suggestions for improvement. In the context of my doctoral work, I was exposed to additional fields that contributed to my research. The study of ritual and symbolism in general, whether from the vantage point of anthropology or comparative religion, can lead to insight into Halakhah. One can apply basic questions that are raised in these fields to the study of Halakhah, and these studies also offer a broader context to particular ideas that appear in Judaism. This method does not necessarily lead to “parallel-mania” between Judaism and other traditions. Often, quite the opposite results – comparison highlights what is unique about Judaism. 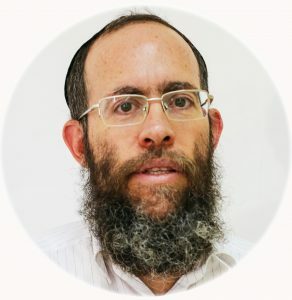 During this period (in 1997), I became a Ram at the Hesder Yeshiva of Otniel, a yeshiva I had barely known existed before I was offered the position. (It has since become one of Israel’s largest Hesder Yeshivot, with 350 students and fourteen Roshei Yeshivah and Ramim). I assumed that a traditional yeshiva setting would not accept either of the basic approaches to Talmud study that I had pursued; a “mahashavanik” would be seen as too “ruhani,” too spiritual, in contrast to the classical lamdan, while the academic scholar would be viewed as not ruhani enough. To my surprise, I found that the yeshiva was open to and involved in both the forging of mahashavah and Halakhah and the methods of academic scholarship. I later discovered that much of the inspiration for this approach came from R. Shagar zz”l, (R. Shimon Gershon Rosenberg) who had taught one of our Rashei Yeshivah, R. Beni Kalmanson, as well as several of the Ramim. R. Kalmanson eulogized R. Shagar as a “gadol ha-dorot,” as opposed to a “gadol ha-dor;” individuals who have significant impact on future generations are often by definition less recognized by the generation in which they live. Although I joined the Yeshiva in Otniel as a Ram, I felt that I had once again become a talmid, as there was so much for me to learn. The yeshivah has a Hasidic bent, which seeks the spiritual that goes beyond the intellectual. I discovered that uncovering philosophical meaning in Halakhah is a not an end, but a beginning; the challenge is to translate the philosophical meaning into personal meaning and significance and then to figure out how to incorporate it into one’s life. I have since given up believing that the journey to discover what it means to learn Gemara will ever reach a definitive conclusion. In recent years, in fact, a number of additional approaches have developed. 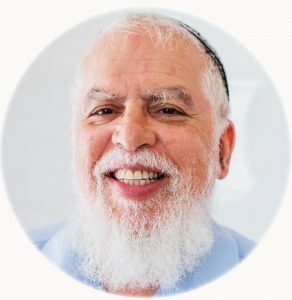 A colleague from Beit Midrash Ra’ava, R. Shimon Klein, has developed an approach that allows the imaginative faculties to play a role in learning. R. Dov Berkovits of Beit Midrash Beit Av demonstrates the dynamics of group discussions in developing personal significance for the ideas raised in the course of study. I view these approaches as following, or at least carefully integrating, the use of the intellect, not supplanting it. Although the approaches to Gemara study that I have encountered over the years are “new,” methodologies in learning have constantly been evolving. The aharonim clearly related to the Gemara differently than the rishonim. R. Hayyim Soloveitchik changed the nature of lamdanut, and his students, such as R. Shimon Shkop, took his methodology to new spheres. In recent times, however, this process has been greatly accelerated. The combination of interdisciplinary approaches and the explosion of information in our times have led to unlimited possibilities. This rapid rate is inevitably problematic, as new approaches are often not yet ripe or properly developed. In addition, the eclectic nature of interdisciplinary approaches is limited by time constraints. One can devote years to writing a doctoral dissertation, but how does one incorporate various methodologies in a yeshiva, where a new sugya is studied every week? I wish to present a model for coherently applying the methodologies we have mentioned. As previously noted, these are not theoretical models; they are based on experience from thirteen years of teaching in the Yeshiva of Otniel. One important factor that contributes to a methodological approach is the choice of what to learn. This includes both the choice of which massekhtot are studied as well as what is stressed in a given massekhet. Meaning and significance for the student is a crucial criterion in choosing a text. For example, as I write this essay, year we are learning Bava Batra. Although we hope our students will learn the entire massekhet in beki’ut, we ultimately decided that the first two chapters would be studied be-iyyun, despite the fact that the third chapter is, in many respects, more “lumdish.” This decision was made in large part because of the significance and relevance of these chapters, which deal with the relationship between the individual and society. Similarly, when learning Gittin, we focused on the last chapters, which deal with gerushin, divorce itself, and not the first chapters, which focus on the complexities of the get. This choice was made in part because the process of gerushin, more than the get, sheds light on the nature of marriage; moreover, the problem of refusal to offer a get, a burning issue in Israel, is rooted in this topic. After choosing the text, there is the question of focus in each chapter. When studying the first chapter of Kiddushin, one could focus on kinyanim or on the nature of marriage and the meaning of the marriage ceremony. Through studying Nedarim, one could fine-tune the difference between a “heftza” and a “gavra” or contemplate the very nature of language. Ultimately, the issue is what to stress, as both approaches have merit and neither should be ignored entirely. This approach to choosing the text to study does not limit the scope of massekhtot learnt in yeshiva – it actually expands it. In choosing a text, meaning is a goal, but that does not only imply practical relevance; texts that express values are existentially significant. The yeshivah has in the past studied Zevahim, a massekhet that is unfortunately not currently halakhah le–ma‘aseh. Nevertheless, the world of the Mikdash, for the restoration of which we pray daily, should be an essential part of a Jew’s worldview even today. A famous cover of The New Yorker depicts how New Yorkers perceive the map of world. Not surprisingly, New York City takes up most of the map. Similarly, many traditional yeshivot have adopted an outlook wherein legal aspects compose the bulk of Shas, while the rest is just peripheral. As a result, even when learning topics beyond Seder Nezikin, these topics are found and stressed. When learning Gittin, focus is placed on testimony and validity of legal documents (edut and shetarot); when studying Kiddushin, stress is placed on kinyanim; analysis of Ketuvot is associated with clarifying sefekot. These abstract and legal concepts are important and must be studied, both for their inherent value and in order not to be completely disjointed from the “olam ha-yeshivot,” but in our yeshiva, they are studied in smaller proportion. Our goal is meaning and significance for the student. The second stage after choosing the text to study is devoting time to an introduction to the massekhet. The study of the relevant pesukim in the Torah is but a small investment in terms of time, but it is of great qualitative value for the course of learning. Study of the basic ideas that emerge from the Torah she–be–Khtav is a significant backdrop for tracing the development of these ideas and seeing how they are applied in the Torah she-Be‘al Peh. It also sharpens the ability to contemplate the relationship between the Torah she–be–Khtav and the Torah she-Be‘al Peh. For example, when the Yeshiva studied Bava Kamma, there was a weekly shi‘ur in which each of the Ramim was able to express his understanding of Hazal’s interpretation of “an eye for an eye” as referring to monetary compensation. The introduction includes the study of the mishnayot of the relevant chapters as well. The ability to see the entire chapter of Mishnah as a unit and contemplate its structure is yet another significant point of reference before the study of the Gemara actually begins. For example, study of the mishnayot of the first chapter of Kiddushin allows the student to analyze the similarities between the kinyan of kiddushin and other kinyanim and to uncover what is unique about it, a study that sheds light on the essential nature of kiddushin. This introduction generally takes about a week. The bulk of the zeman will be dedicated to the routine of learning sugyot one by one. By now, there have been a number of staff meetings to decide which sugyot to study and which to skip. The goal is to create a curriculum in which the major topic of the massekhet is covered, along with some unrelated sugyot whose significance demands that they be discussed. For example, the topic of kinyan devarim appears in Shas only in the first chapter of Bava Batra. Although it is not relevant to the major topic of the massekhet, this would be the only opportunity to study it. On the other hand, although this chapter also discusses the laws of sefekot, they are discussed extensively elsewhere, and would thus be more likely to be skipped in this context. Here we have arrived at the heart of the challenge – the study of each individual sugya. Obviously, each ebbi has a different style; I will refer to a major trend among the shi‘urim in our Yeshiva, but I cannot speak for all. Furthermore, every sugya presents its own challenges, and no one formula is appropriate for all. The discussion below is thus purely a model. The stages in learning a sugya are generally chronological. By virtue of the introduction, the relevant pesukim and mishnayot have already been studied, so it usually only takes a short time to complete the Biblical and Tannaic sources, reviewing the above in the particular context of the given sugya and adding Mideashei Halakhah and Tosefta when relevant. The next stage is the gemara itself – primarily Bavli, but the Yerushalmi as well. Within this stage, an attempt is made to build up the basic sugya from within the gemara itself. This certainly takes more time than if the gemara is treated as a jumping board to the rishonim. However, if the student arrives at the next stage of studying the rishonim and ahronim after having himself dealt with the challenges that these commentators faced in unraveling the gemara, he actually saves time in the end; this approach makes is it easier to understand the commentators. In addition, the student attains added insight into the paths each commentary has taken. What takes place during each of these stages? When I studied at Yeshivat Har Etzion, I was taught a basic formula for breaking down and analyzing a sugya: seek the source (makor), the halakhic definition (hagdarah), and scope (hekef). From these, one attempts to uncover the nature (ofi) of the particular law. In my teaching, I add two additional steps. Once the ofi of the law has been determined, we ask the “why” and search for the meaning. To this conceptual approach, textual sensitivity is applied by noting the literary structure of the sources and by studying each within its own terms, meaning clarifying what is mentioned and what is not mentioned in each source. An example of this method is demonstrated in the appendix at the end of this article. One basic way of broadening the scope of use of methodologies is through the shiur kelali, the shiur given by the Rosh Yeshivah to the entire yeshivah. In many yeshivot, the shiur kelali is on a topic that has not been studied over the course of the week. In Otniel, the shiur deliberately focuses on what was studied during the week to allow different approaches to be aired, thus turning the shi‘ur into a discussion in which both staff and students actively participate, rather than a lecture. The Rosh Yeshivah giving the shiur sees his role not as a solo performance but as a conductor of an orchestra. Another method of enrichment is through yemei iyyun for the entire beit midrash. These generally take place towards the conclusion of a massekhet. In these contexts, staff and students have the opportunity to share insights and discoveries that arose during their learning. This is also an opportunity to invite guest speakers who specialize in the relevant fields. For example, at the conclusion of studying Bava Kamma, we examined how Israeli law relates to the halakhot of nezikin (torts). Judges Neal Hendel and Moshe Drori were invited to present the similarities and differences between current Israeli law and Halakhah. To allow for a meaningful discussion, the students prepared in advance by studying a number of these judges’ court decisions. Throughout the study of Massekhet Kiddushin, the beit midrash contemplated the nature of marriage that emerges from the study of the massekhet. Towards the end of the zeman, we studied the validity of civil marriage based on the conclusions of various sugyot. R. Shlomo Dichovsky, a leading member of the rabbinical high court, shared his opinion and experience on this issue. In order to relate to policy issues, we hosted R. Yaakov Medan, who has written a covenant for Israeli general society together with Judge Ruth Gavison in an effort to overcome the gap between religious and secular Israelis when it comes to civil marriage. While studying Massekhet Shevi’it, we traveled to fields and met with farmers. This contributed to understanding of the realia concerning the agricultural aspects of the sugya. Students also heard first-hand how farmers planned to meet the challenges of observing the laws of the (then) upcoming shemittah year. We also hosted a professor of agronomy, who gave a more scientific view of the agriculture elements involved. When we finished Massekhet Gittin, we attempted to study the different sides and approaches to dealing with the “agunah” issue. We met R. Eliyahu Ben Dahan, head of the Beit Din in the Israeli rabbinical court system, and once again with R. Shlomo Dichovsky. In addition, R. Elyashiv Knohl came to the Yeshiva to present his proposal for prenuptial agreements. Throughout the course of the year, we conduct ancillary studies to the topic of the major massekhet studied. While we were studying Massekhet Berakhot, tefillah workshops took place. When we were studying Masskhet Shabbat, classes exploring the different meanings of Shabbat were held. When we were learning Massekhet Nedarim, which deals with the ability to create commitments and prohibitions through the power of speech, the parallel “spiritual” work was focus on uplifting speech. In addition, there were classes on Sefer Yetzirah, which deals with the spiritual and philosophical underpinning of language in Judaism. Learning Massekhet Bava Kamma, which focuses on damages to property and theft, led one of the staff members to give a lecture series about ethical and spiritual issues relating to money. 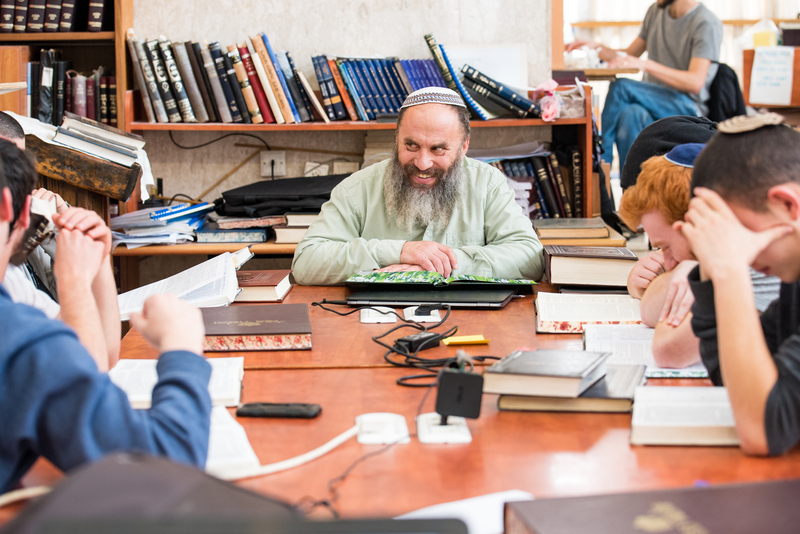 While there is certainly an inherent value to the Torah studied in yeshivah, every institution aims to give its students the tools to continue learning Torah after leaving the confines of the beit midrash. The mizvah of learning Torah applies “be-shivtikha bi-veitekha u-ve-lekhtikha ba-derekh” (Deut. 6:7), in the home and on every path in life, not only to time spent in the beit midrash as a formal student. Torah learning must eventually be applied in the home, in discussion between parents and children, and in the encounter with the outside world. This means that yeshivot must be realistic about the time constraints and environments that students will one day find themselves bound by. I recall that when I studied at Yeshiva University, there were a number of students who explained that they didn’t learn during night seder because only learning Gemara be-iyyun is of value, and in a two-hour night seder there was not enough time to properly learn in depth. It seems that the forms of Gemara study stressed in yeshiva, and the use of multiple methodologies in particular, are often too complex to be continued in their original form after leaving that environment, when students face the challenges and limitations of family life and profession. I believe that the challenge is not to try to replicate what is done in the beit midrash. Rather, students should find ways to use the many facets of learning as ingredients to be rehashed in appropriate and relevant forms. A good example is the study of Mishnah. The text of the Mishnah itself is short and easily understood, making it appropriate to learn even in short time periods or in a family setting with people of different ages and backgrounds. The study of Mishnah is often technical and dry, however. Using the literary tools developed by R. Walfish mentioned earlier and using the resultant literary structures to uncover meaning can turn the study of Mishnah into a rich Torah learning experience. The task of preparing students for study after leaving the beit midrash must begin within the beit midrash itself, where the process can be guided. For years, there was a group in our yeshiva that met weekly to study a chapter of Mishnah. In a short time, the students became active participants, picking up the basic methodologies. Evidence of their participation can be found in the numerous insights of the students quoted in the book that evolved from these classes, Nishmat Ha-Mishnah. Similarly, our staff prepares students for a different type of Gemara study. One of our teachers, R. Amnon Dukov, begins each morning with a daily Gemara shiur, going page by page, and he tries to limit it as much as possible to the basic text of the Gemara. 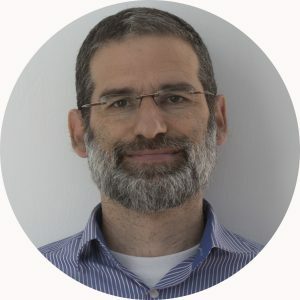 He uses a number of basic techniques, among them focusing on understanding what underlies the flow between the seemingly associative topics within the Gemara, to make it a significant learning experience. A step up from regular beki’ut study, this presents a realistic style for graduates to continue after they leave the Yeshiva. The Yeshiva’s website also includes a forum that coordinates the study Gemara for graduates. Everyone can post ideas and insights about the daf currently studied by the forum. Now that we have seen the possibilities for Torah study that have been provided by new approaches, we must discuss the potential pitfalls of using them and how these problems may be addressed. I strongly believe that different methodologies should be used in tandem. The complex nature of Gemara is a reality that requires a multifaceted approach; using only one methodology can allow a student to exhaustively apply it, but this does not prevent the ultimate conclusions from being skewed, as other dimensions are invariably ignored. For example, there are many learned articles that analyze in overwhelming detail the textual aspects of the sugya – the manuscripts, philological issues, knowledge of the relevant realia, etc. – but when making the jump to the conclusion, the lack of grasp of the conceptual or philosophical underpinning of the topic often leads to a misunderstanding of the issue at hand. The opposite phenomenon of conceptual study without textual analysis can similarly lead to problems. There is a threefold danger, however, in using multiple methodologies. First, a little knowledge is a dangerous thing; it is certainly perilous to use methodologies without knowing how to use them. Using several methodologies generally leads to being less familiar with each of them, and thus may lead to a more confused process than had one focused only on one approach. The student must recognize this danger and be aware of what he does not know. There should also be means for students to learn the basics of the methodologies that they are exposed to and expected to apply. If this exposure is not offered in the context of special classes, the teacher must make a conscious effort to relate to the methodologies themselves during the shi‘urim. We can not assume that students will absorb these foundations by osmosis. Second, when a shi‘ur is tackling a topic from many vantage points, less time can be devoted to any particular methodological tool. To avoid being sloppy regarding what is essential, the teacher must often skip what is not. Ultimately, there is a price for this approach, but it is a price I am willing to pay considering the alternative. Third, with many tools at one’s disposal, there are great temptations to sacrifice intellectual honesty. Instead of using multiple methodologies to allow one to check and balance a particular idea, one may use them to create a “supermarket” to pick and choose items that push a pet theory. The use of manuscripts is a good example. Alternative girsa’ot must be invoked not only in order to promote a particular idea, but also to temper it. For example, I have argued that the celebration of the Simhat Beit Ha-Sho’evah is a reenactment of the story of the bringing of the ark to Jerusalem by King David and that the singing and dancing of the “hasidim” represent that of David himself. What could be a better proof than the mishnah that states that the hasidim said “shirot ve-tishbahot,” a phrase also used by Hazal to describe David’s poetic endeavors? All the manuscripts of the mishnah, however, read “tishbahot,” instead of “shirot ve-tishbahot,” creating a much less striking analogy to David. Similarly, I argue that Massekhet Tamid 1:4 parallels Shir Ha-Shirim 2:12-14. After all, the mishnah uses the phrase “higi‘a et,” matching the words of the verse, “et ha-zamir higi‘a.” Once again, however, the word “et” does not appear in the reliable manuscripts of the mishnah. Ultimately, to overcome the challenge of selective use of methodological tools, it is critical that there be an opportunity for interaction, feedback, and critique between lomedei Torah. As I mentioned earlier, R. Zvi Yehuda Kook quoted Hatam Sofer as stating that mixing Halakhah and Aggadah is forbidden as kil’ayim. The attitude opposing interaction between Halakhah and mahashavah is often based on the assumption that the genre of classical lamdanut is more of a vehicle to uncover the “peshat,” to touch on the original meaning of Hazal, than mahashavah is. I believe that, in essence, the opposite is true. I do not mean to devalue classical lamdanut; rigorously uncovering the implications of the halakhot concluded by Hazal has significance and legitimacy even if it does not uncover the conscious intent of the hakhamim. Lamdanut is, in fact, an essential source for the model of learning Gemara that I have presented. However, the genre of mahashavah is closer to that of Halakhah. As I heard Yonah Frankel point out, all of our sources from Hazal contain both Halakhah and Aggadah – the Bavli, Yerushalmi, Midrashei Halakhah, and, to a lesser extent, the Mishnah and Tosefta. The same hakhamim engaged in both genres. The idea that Halakhah and mahashavah are unrelated would also belie all we have learnt from anthropology and comparative religion – rituals have significance and meaning and often reflect a value system. The burden of proof is on anyone who would argue that Judaism is the exception. In practice, however, matters are more complicated. There are indeed serious challenges to attempts to uncover the “mahshevet ha-Halakhah.” Just as many dogmatically deny the very possibility that mahashavah considerations form the basis for the Halakhah, there are those who dogmatically have gone to the other extreme, maintaining that every detail of the shakla ve-tarya of the Gemara teaches us a fundamental idea relating to the essence of the topic at hand. The famous Guru Gurdjieff tells of a man walking with the devil. The man asks the devil what another man is doing, and the devil responds that he is collecting truths. The man then asks why the devil is not frightened by this attempt, and the devil replies that he has no reason for concern; ultimately, the person will turn the truths into a dogma. A second problem of intertwining Halakhah and mahashavah is its newness. For many years, methodologies of lamdanut were created, exercised, and polished. No such methodologies have been formed for mahashevet ha-Halakhah. In my doctorate and book on Sukkot, I grapple with this challenge, but there is still a long road ahead. I will address the third and, in my opinion, the most serious problem in the next section. Academic scholarship and the search for spiritual meaning are two different drives, but both are significant, and it is necessary to incorporate both in learning. I believe that this is true not only because each contribute to and deepen study, but precisely because the differences between them may help each overcome the pitfalls and dangers of the other. Although I believe in the essential relationship between mahashavah and Halakhah, the fact that mahashavah has personal, subjective significance – as opposed to lamdanut, which is generally more abstract and detached – leads to a gap between critically and objectively understanding the sources on the one hand and expressing a subjective, personal worldview through the sources on the other. The subjectivity of mahashavah, the “spiritual meaning” of the text, must somehow be counterbalanced. The following anecdote articulates both the problem and an approach to respond to it. When Professor Benjamin Ish Shalom opened his institution, Beit Morasha, R. Amital asked him whether it would be like a university or a yeshiva, the difference being that ”in university, you want to know what Rav Kook said; in yeshiva, we want to know what Rav Kook says to us.” Ish Shalom, who desired to combine the best elements of both approaches, replied, “I want to know what Rav Kook says to me.” Ultimately, the professor agrees that study should lead to personal significance, but he demands that it be based on and following from the best effort to uncover the original meaning. To do this, one must be conscious of what emerges from the text itself and what its implications are. Academic scholarship, which seeks to at least partially detach a person from his subjective understanding of the matter studied, allows for a two step process that can temper getting carried away with subjective interpretations. Without this, the search for meaning can leave one looking at a mirror instead of through a window. Academic scholarship attempts to view each source in its own context. This, of course, leads to the realization that peshuto shel mikra, the simple reading of the Torah, is not necessarily always identical with the commentary of Hazal. The challenges raised by this situation are more of an educational nature than a theological one, as there are many sources for this type of explication and many instances of Rishonim and Ahronim who justify or practice this approach. The problem must be dealt with, however; if this method leads to an interpretation of texts that differs from the classical interpretation, it may undermine the authority of these sources and, thereby, the binding nature of Halakhah. It is beyond the scope of the present discussion to adequately address this issue, but I will attempt to point to a general approach. Those with experience in Gemara study recognize that not every commentary they encounter provides the simple meaning of the source it intends to explain. There may be an educational danger in acknowledging this reality, but there is an educational danger in denying it as well, especially as students themselves often raise this issue. The educational approach of a teacher who offers far-fetched explanations, trying to convince students that the problem surfaces only because of the limits of students’ intellectual grasp and refusing to accept the problem that the students see, may ultimately, God forbid, cause severe damage in the students’ trust in their teachers and the Torah itself. Basing the sanctity of and commitment to the Torah she-Be‘al Peh only on the argument that it involves no development whatsoever may cause some to abandon it entirely. Those students who sense that commentary includes a creative process in addition to a descriptive one may conclude that the Torah she-Be‘al Peh lacks sanctity and that there is no need to be committed to it. It is essential that these issues be raised and grappled with within the beit midrash, as often students face these questions only later, when they are no longer part of an atmosphere that can help them deal with these issues from a vantage point of yirat Shamayim and theological depth. Kook writes about three major revolutions of the (then) “new thinking” – new conceptions in sociology, cosmology, and the theory of evolution. Each of these changes was perceived as threatening to faith. R. Kook’s approach was to meet the challenges not by ignoring them or by denying them all validity, but by viewing them as challenges to discover the divine within them, and ultimately to enrich faith and achieve a deeper understanding of God through them. Similarly, questions rooted in academic study may serves as an opening for deepening the study of Torah she-Be‘al Peh. A believer says, “When Mashiah comes, my grandmother will rise from her grave,” while a non-believer says, “When my grandmother rises from the grave, Mashiah will come!” The formulation and the melody can make all the difference between faith and heresy; a beit midrash is capable of offering the correct melody. The traditional method of Gemara learning leaves little room for any approach that stresses the development of the Torah she-Be‘al Peh, primarily as a result of assumptions relating to two fundamental issues – the nature of commentary and the nature of the Oral Torah itself. Rethinking these topics – and teaching them differently – can help us successfully grapple with the challenges posed by developmental theories. What is commentary? If the value and meaning of commentary is entirely related to its ability to passively uncover the original intent of the author, it is difficult to accept any view that sees the role of commentary as doing more than that. One of the major revelations in our times (although often taken to an extreme in postmodern thought) is the realization that legitimate commentary can be much more dynamic. It seems clear that Hazal themselves had a complex conception of commentary. Statements such as “lo ba-Shamayim hi” stress the preference of the commentator’s understanding of the text over that of God. “Eilu ve-eilu divrei Elokim hayyim” envisions a possibility of multiple truths in interpretation, and the famous story of Moshe Rabbeinu not understanding what R. Akiva quotes in his name attests to this as well. Know that there is a major and obvious difference between the Torah she-be-Khtav and the Torah she-Be‘al Peh: The Torah she-be-Khtav was given to Moshe word for word, from “Bereishit” to “Le-einei kol Yisrael,” whereas the Torah she-Be‘al Peh conveyed to him included the content, but not the words… as words can be passed down only in writing… By the very nature of oral transmission, there will be differences in understanding between people, as each will put in some of his personal understanding… In truth, we see the Torah’s wonderful wisdom in that it gave the hakhamim of each generation [the ability to give] the commentary on the Torah, so that the Torah will live with the nation and develop with it, and this is its eternity. With this [understanding] we can explain the phrasing of the blessing recited after [reading] the Torah: “Who gave us a Torah of truth (Torat emet) and implanted eternal life (hayyei olam) within us.” The Tur explains that the “Torah of truth” is the Torah she-be-Khtav, whereas “eternal life” refers to the Torah she-Be‘al Peh… Thus, [R. Glazner argues,] the Torah She-Be‘al Peh is not called absolute truth, but “agreed upon truth,” which is dependent on the understanding of the judge in your time. For this very reason, it is called “eternal life implanted within us,” because through it, the living spirit of each generation will come to fruition. Thus, The Torah is eternal precisely because it is fluid and dynamic. The spirit of the nation did not generate Torah she-be-Khtav, but the spirit of God, creator of all, created it… In the Torah she-bee‘al Peh… we feel the spirit of the nation, which is connected like a flame to a coal to the true light of the Torah, causing, through its special qualities, that the Torah she-be‘al peh was formed in its unique form. Certainly, man’s Torah is included in God’s. The spectator’s open eye looks through the lighted speculum; [this is] true to all houses of God. It is impossible that from him there will be hidden this abundance in all its developments. These two lights make a complete world, wherein heaven and earth meet. The source of this passage has, in fact, been censored. In the original passage taken from R. Kook’s journal, the line reads “she-Torah she-Be‘al Peh notzeret,” that the Torah she-Be‘al Peh is formed, in present tense, and not in the past, as indicated in the printed version. R. Kook viewed the formation of the Torah she-Be‘al Peh as a process that not only occurred in the past, but continues to occur in the present as well. While this is obviously a simplistic explanation of the Kabbalistic concept underlying R. Kook’s approach, I believe it is important to stress that the Kabbalah offers an perspective on dealing with these issues. There is a further important point relevant to academic study of the Torah she-bee‘al Peh. Seeing a creative process within the insights of the anonymous editors of the Gemara is problematic if this leads to the impression that their innovations are less authoritative. But the authority of the Gemara stems from its acceptance by Kelal Yisrael, and the anonymous parts of the Gemara are certainly included in what was accepted. We know that “Gadol mei-rabban shemo” – when a Rabbi is cited by his name alone, without any title (such as Hillel), it is a reflection of his greatness. I would add that “Gadol mi-shemo stam” – remaining anonymous is even greater than being named at all. Academic scholarship needs spiritual tempering to protect faith, but also because an approach that lacks faith ultimately limits a student in the search for truth. I have a friend who studied Greek Philosophy because he recognized that the works of the Greek philosophers changed the world. He complained that the professors had no faith. “Why would you expect the professors to be religious?” I asked. “You don’t understand,” he replied. “I mean they have no faith in Homer, Aristotle, and Plato!” The prevalent presumption of the academic world – that one must be emotionally detached from the topic studied in order to be objective – undermines the ability to uncover the deep truths of the topics studied. Lack of spiritual context not only makes an academic approach to the Gemara dangerous; it impedes a basic understanding of the text. Shagar goes a step further in criticizing the academic world’s claim of truth based on its “objectivity” and detachment from the text, challenging this assumption based on the postmodern argument that all readers have preconceptions when approaching a text. – Commentary may come from the outside; the commentator deliberately detaches himself from what he is studying, thus giving him a broader perspective, as he looks from afar. However, commentary may emanate from a different direction; the commentator identifies with what he is studying and has the advantage of understating it from the inside. Ultimately, the postmodern preference is for understanding that comes from within. I would add the need to be aware of the strengths and limitations of both the inside and outside commentary; a balance between scholarship and spirituality, a golden mean, must be navigated. A balance is not only necessary between spirituality and scholarship, but within spirituality itself. I grew up in a “Litvish” environment, in which religious values focused on yir‘at Shamayim and commitment particularly in the context of fulfilling the Halakhah. In Israel, I encountered additional dimensions in avodat Hashem, a more Hasidic approach that focuses on love, joy, and seeking to experience God. In this context as well, there is a need for synthesis, as opposed to a black and white choice between alternate paths. 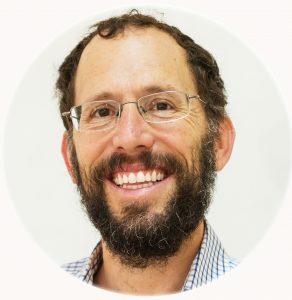 After several years of teaching, I realized that enthusiasm for the more “Hasidic” approach was actually doing a disservice to many of my students, who did not have the privilege of growing up in the Litvish tradition and for whom the experience of avodat Hashem was thus primarily experiential, the “havaya.” This approach is problematic for three reasons. First, instead of being a means to greater closeness to God and a deepening of one’s service to the divine, the spiritual experience becomes an end in and of itself, a phenomenon evidenced by the growing popularity of the “New Age” movements. Second, personal experience becoming the only criterion for legitimacy; if I can’t relate to something, I simply don’t do it. Finally, focus on the experiential can lead a person to be self-involved and less attuned to others. In order to preserve the experiential element of avodat Hashem while avoiding its descent into amorphous “spirituality,” a focus on yir‘at Shamayim is necessary. We are taught that “Reshit hokhma yir‘at Hashem” (Ps. 111:10); in our time, we should add that “Reshit havaya yir‘at Hashem.” Similarly, just as the mishnah (Avot 3:17) calls for a balance between wisdom and action so that the wind will not uproot a flourishing tree with shallow roots, we must stress the balance between action and experience. From an educational perspective, it is no small challenge to achieve that balance. It is not sufficient to simply note each value, especially if the other is stressed. I ultimately realized that this balancing must be a day-to-day challenge, and not merely a topic for an occasional talk. For many years, I have begun each class with my students by noting the date and then adding the verse, “This is the day that God has made; we will rejoice and be glad in it” (Ps. 118:24),thereby expressing the perspective that life itself is a blessing and that joy is to be found in recognizing this reality. As a result of the concerns outlined above, I have adapted my practice somewhat; before this verse, my students and I recite the last verse of Kohelet together: “The end of the matter, when all is said and done: Fear God, and keep his commandments, for that is the whole duty of man” (Ecc. 11:13). Many have noted that the use of the approaches discussed above is much more prevalent in Israel than in America. Many view this as stemming from the fact that the thought of R. Kook is much more pronounced in Israel, while that of R. Yosef Dov Soloveitchik has been influential in American trends of learning. In reality, however, I think the answer is more complex. As I have already noted, many of R. Kook’s followers are at the forefront of the polemics against these approaches, often fiercely criticizing the concept of mahshevet ha-Halakhah. On the other hand, many of the figures promoting these methodologies are American-born, including R. Avraham Walfish and R. Dov Berkovits, as well as R. David Bigman, Rosh Yeshiva of Yeshivat Ha-Kibbutz Ha-Dati, R. Mayer Lichtenstein, my colleague in Otniel, and R. Tzuriel Wiener, head of Beit Midrash Ra‘ava. Furthermore, many of these teachers view themselves as students of R. Soloveichik or of his students, and they draw inspiration from his genre of thought. As is the case with many great men, both R. Kook and R. Soloviechik were many things to many people. R. Yoel Bin Nun once described the difference between the way R. Kook’s two primary students approached R. Kook’s thought. R. Zvi Yehuda Kook would skip the philosophical and kabbalistic passages in his father’s writings, focusing on the more tangible aspects, while R. David Ha-Kohen, the “Nazir,” would begin each shiur by asking one of the students to recite the ten sefirot in their proper order. Ultimately, R. Zvi Yehuda’s approach, with its strong focus on Am Yisrael and Erez Yisrael, became dominant in Mercaz Harav; the impact of the more philosophical side of R. Kook is sensed through those works edited by the Nazir, such as Orot Ha-Kodesh. As a result, the impact of the latter approach was felt initially on an individual rather than an institutional level, until those individuals ultimately became part of or founded institutions themselves. Similarly, R. Soloveitchik was a complex personality. In addition to being a successor to the tradition of Brisk and his commitment to many aspects of that conception of Torah, he demonstrated interest in philosophy, knowledge of Hasidut and Kabbalah, and openness to academic studies (although not in relation to the study of Talmud). This complexity impacted on his Torah study as well. The same R. Soloveitchik who was able to eloquently present the classical distinction attributed to the Brisker method – the distinction between searching for the “what” as opposes to the “why” – often engaged in a more philosophical quest in his explanation of the Halakhah as well. Ultimately, then, the issue is more fundamental than the difference or similarity between two prominent personae. The question becomes why certain sides of each personality were perpetuated and developed while others were not. A possible theory regarding the different trends in Israel and America was suggested by R. Shagar. A major thesis of R. Shagar’s book is the relationship between methodology and motivation for Torah study to the worldview of the student. As he discusses this extensively, in this context, I will only relate to the implications for the issue at hand. Shagar distinguishes between two basic approaches to the relationship between Torah and life. One conception, which he attributes to the Brisker approach, views the divinity and eternality of the Torah as part and parcel of its being abstract and autonomous, and thereby disjointed from life and reality. The Torah’s alienation from the natural flow of life is in many ways a dogma and ideal. It leads to the creation of a closed language of lamdanut, denigration of “balabatish” reasoning, seeing a divide between how people think and how the Torah thinks, and viewing the Torah as devoid of emotional or human elements, and thus claiming that the mizvot lack reasons. 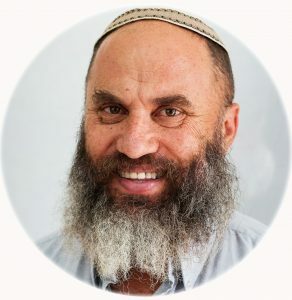 Within Israel, R. Shagar discerns a growing thirst for ways that Torah can illuminate life’s questions and challenges, to a linkage between the flow of life and the Torah. Is God’s will manifested exclusively within the realm of Halakhah, or can God be found within life itself? The return to Erez Yisrael and the fact that they live as part of Medinat Yisrael has led the Dati Leumi community in Israel to prefer the latter approach. The prominence of American-born teachers in these trends in Israel is logical, simply because their range of knowledge in different realms is broader in many ways. Thus, the new approaches link the potential presented by American Jewish education with the milieu of Erez Yisrael. I believe that there is a necessity for the application of these methods in the American Modern Orthodox community as well. There is a value to openness to the world which may justify its price, but this is a potential that must be actualized in practice. In a community that values Torah, exposure to secular pursuits must lead to significant impact on the study of Torah, including the study of Talmud, which remains the primary text of Torah study in high schools and yeshivot. When men in the Modern Orthodox community feel that openness has enabled them to better serve God and study His Torah, the Modern Orthodox community will have succeeded in validating its decision to accept the challenges of openness. The openness of the Modern Orthodox commuity has allowed for new opportunities for women to study Torah, in particular the previously inaccessible text of the Talmud. Many women indeed feel privileged to have been born in a generation in which they have these opportunities. In this article, I have argued that new methodologies and approaches to the study of Gemara present exciting possibilities and potential for advancement and learning. Although these approaches must be fine-tuned and more fully developed, their application in the yeshiva setting has been successfully implemented. Numerous objections have been raised to these newer approaches, but many can be overcome. Among the principle difficulties that I have outlined is the use of numerous different approaches. On the other hand, I have noted the danger of limiting study to one approach alone, which can at times skew the picture of the sugya at hand. As my title suggests, scholarship needs spirituality and spirituality needs scholarship; each force tempers and develops the other, and both are crucial. The challenge of our generation of Torah teachers is to find the proper balance between these two trends so that we can convey the wisdom of the Gemara in the most productive way possible. In the context of describing how individual sugyot are taught, I presented a model for studying the various stages of a sugya. So that the model will not remain theoretical, I will bring an example from one sugya in Bava Batra, “hezek re’iya.” This is not designed to be an article on the topic, but rather a general description of the stages of study performed by my second-year students. Therefore, no attempt will be made to prove or fully develop any particular point. I will not focus on the early stages of learning, defining the “makor,” “hagdara,” “hekef,” and “ofi,” but rather on the additional aspect of incorporation of different methodologies and strategies. My goal is to give a feeling of the flow of the study process. We ultimately dedicated two weeks to this topic. Most of the first week was focused on studying the sources in Hazal. We then devoted a week of study to the major Rishonim and Ahronim, and finally concluded the third stage by going through the Poskim, focusing on recent halakhic responsa. The phrase “hezek re’iya” does not appear in the mishnah, Yerushalmi, or even in statements by Amoraim in the Bavli, but rather only in the Stamma of the gemara . This certainly does not preclude the possibility that the concept precedes its first literary mention, but it does open the possibility to investigate if there are other approaches to understand the principles that emerge from the mishnah. It is plausible that the wall is built to ensure privacy, but the question remains if the invasion of this privacy must be defined as an act of hezek, as would seem to be implied by the Stamma, a definition that has multiple ramifications. If this is not an act of hezek, by what right can we force a neighbor to build the wall? The premise of our course of study is that all opinions must accept the conclusion of the gemara, the halakhah that a neighbor must build a wall between properties, and that that halakhah is based on the principle of hezek re’iya. But different rishonim and aharonim may assume different underlying conceptual bases for that principle, and thus reach different conclusions. Our study of the sugya began by learning the mishnayot of the first chapter of Bava Batra, which deals with situations in which one is obligated to participate in a joint building endeavor that serves a common need. The chapter relates to this in contexts of relationships between partners, neighbors, and members of a city. From the structure of the chapter, it appears that the relationship itself leads to obligations in situations of mutual need when that need is determined to be fundamental. In the case of partners or members of a city, the logic of this point is self-evident, as one is part of a unit. The hiddush of the mishnayot is the application of this concept to the relationship between neighbors. Even though the neighbors have not explicitly created a contractual relationship, there is a relationship between them that can not be denied and which can lead to mutual responsibility. This point is highlighted by comparing Rambam’s codification of these halakhot to the discussion in the mishnah. According to the mishnayot (Bava Batra 1:1-4), there are three principles to consider when determining whether one can force someone else to participate in a joint venture: 1) One can force participation for needs that are fundamental or customary; 2) One cannot force participation for needs that are not fundamental; 3) If it can be determined that a person utilizes something that was paid for by the other person alone, he can retroactively be forced to pay his part of the venture, even if it is not a fundamental need. According to the simple reading of the mishnayot, this list of principles, which appears twice, applies in the context of the relationship between neighbors (with the possible exception of mishnah 1:1). Rambam (Hilkhot Shekheinim 5:1) brings the same list in the same order, but he limits the application of these three principles to one who wishes to compel a partner to participate in a joint venture. Partners are bound by these logical principles because they have entered into an agreement together. Rambam limits the application of these principles to partners, and not to neighbors, because he follows the Bavli’s development of the mishnah, which is based on a number of ukimtot. In the context of partners, Rambam intuitively reaches the same principles that the simple reading of the mishnah does. Understanding the structure of the mishnayot helps explain the gemara’s discussion. Should we interpret the Stamma in light of that structure, leading to the conclusion that hezek re’iya is fundamentally connected to the relationship and responsibilities between neighbors, or should we interpret the mishnayot in light of the Stamma, concluding that the principles guiding neighbors are governed by the concept of hezek re’iya? Among the Amoraim, we find that the building of a wall can be obligated even when it does not serve a mutual need. For example, when a roof overlooks a courtyard, Shemuel obligates the owner of the roof to build a four amot high wall to protect the privacy of those who live in the courtyard (Bava Batra 6b). However, here, too, it is not obvious that the prohibition to be mazik underlies the obligation. As R. Isser Zalman Meltzer points out, the owner of the roof is also obligated to build a wall of ten tefakhim between his roof and adjacent neighboring roofs. The purpose of this short wall is not to prevent hezek re’iyyah, but rather to delineate the properties and identify the owner of the roof as a thief if he tries to enter his neighbor’s property. Clearly, there is a mechanism that forces a person to build to protect a neighbor’s needs, even when one is not a mazzik. R. Isser Zalman Meltzer views that mechanism in the context of neighbors’ mutual obligations not to infringe on each others’ property rights. Yet another approach to the nature of the problem of invading privacy appears in the context of the prohibition to open a window facing an existing window (Bava Batra 60a). R. Yohanan seems to view the problem as lack of zeni‘ut. The Stamma, however, masterfully presents the approach that the problem is that of hezek re’iyyah. The first sugya of hezek re’iyyah (Bava Batra 2a–3a) is far from spontaneous shakla ve-tarya; it is carefully orchestrated. There are seven parts of the first part of the sugya, a typological structure for Talmudic sugyot. Five of the six mishnayot of the first chapter, a mishnah in the second chapter, and the statement of Shmuel are interpreted as focusing on looking into the neighbor’s domain as the central problem. Although the first part of the sugya takes the position that hezek re’iyyah is not hezek, this ultimately holds true only in regard to the first mishnah, whereas in all the other cases there is an obligation to build a wall. Finally, the sugya comes to the conclusion that, in fact, hezek re’iyyah shemei hezek, damage through looking into another’s property is considered damage, even in the case of the first mishnah. That the sugya is a deliberate literary creation can be demonstrated from even minor points. For example, the sugya begins by bringing a proof that the word “mehizah” in the mishnah means “wall.” There are many mishnayot from which this point could be proven; it is thus surprising that the sugya chooses to prove it from a baraita in Kil’ayim. Recognizing the agenda of the sugya leads to an explanation for this choice. According to the citedbaraita, the owner of a vineyard must build a wall in order to prevent his grapes from creating kilayim with the grain in his neighbor’s field; if he does not build the fence, he will be responsible as a mazzik. This source serves as a significant precedent for the approach that the Stamma later presents: that the obligation to build a wall stems from the need not to be a mazzik. Additionally, the case of kil’ayim, like that of hezek re’iyyah, is a form of non-tangible nezek; the lack of a wall between the grain and vines does not physically damage the grain, but rather leads to a halakhic prohibition. The one mishnah in the chapter in which the Stamma does not identify re’iyyah as being the problem, mishnah 3, discusses a case in which one neighbor builds a wall that ultimately encompasses his neighbor’s field from all four sides, thereby protecting the neighbor’s field as well as his own. Nevertheless, the basis of the obligation is not viewed as resulting from a relationship between the neighbors participating in a project because of a common need, but rather from the fact that receiving benefit is considered a sufficient cause to obligate (zeh neheneh ve-zeh haser – hayyav). Reviewing the different possibilities within Hazal for the requirement to build the wall serves as preparation for understanding much of the dynamics within the Rishonim and Ahronim. Those who see the problem as essentially that of relationships between neighbors’ relative rights and obligations invariably bring proofs from the mishnah. 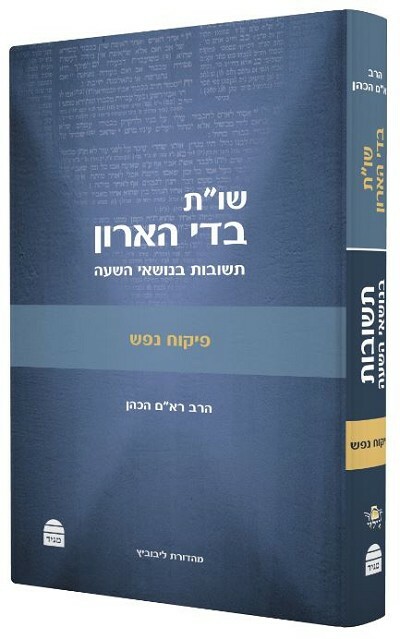 For example, R. Isser Zalman Meltzer claims that the phrase “hezek re’iyyah” cannot be taken literally to imply that looking at another’s property is a nezek, as in that case, the discussion belongs in the second chapter of Bava Batra, which discusses avoidance of damages, and not in the first, which discusses laws that emanate from partnership. Similarly, Rashba views hezek re’iyyah as an issue of zeni‘ut, expanding R. Yohanan’s statement regarding creating a window that faces other windows to encompass the general problem of looking into other courtyards. Those who focus on the nezek aspect of hezek re’iya, such as Ramban, build their case on the Stamma’s statements. Thus, there are a number of currents within Hazal, and the challenge that the commentaries deal with is to which to give predominance and which to reinterpret in light of that. Many commentators choose to harmonize the sources instead of viewing them as reflecting different perspectives. The preliminary step of seeing various approaches in Hazal does not necessarily preclude the veracity of ultimately harmonizing them, but rather allows the student to see the basic tensions between the sources. Once we have discussed the different approaches to the concept of hezek re’iya, we can contemplate the significance of the differences between these approaches. Ultimately, the underlying issue is the relationship between the categories of Bava kamma and those of Bava Batra. In Bava Batra, the two sides are not strangers; there is a relationship between them. These cases are thus different from the situations in Bava Kamma, which focus on damages, and wherein there is no previous relationship between the sides. To what degree is this difference significant? The variance of opinions stretch from those who see the relationship between neighbors as the basis for mutual obligation to those who see that relationship as a hindrance to obligating each other. It is easier to obligate the other when the situation is construed as if they were strangers, since a stranger does his work exclusively on behalf of the recipient, while a neighbor acts also out of self-interest. If a stranger builds a wall around your property, he benefits you and not himself. When your neighbor builds the wall, he benefits as well. The differences between these two basic approaches are not only philosophical; they touch on meta-halakhic issues as well. In the introductory shi‘ur kelali that he delivered at Mercaz HaRav on Bava Batra in 1929, R. Kook pointed out that while the halakhot of Bava kamma are ultimately based on pesukim from the Torah, Bava Batra is almost entirely devoid of pesukim. R. Kook’s insight leads to an important question – where are these laws coming from? From where does their authority derive? It seems that this is also a major point of divergence between the two basic approaches. One approach takes explicit, pre-existing categories and expands them. Thus, the approach of the Stamma is to take the preexisting category of nezek and to expand it to include invading privacy, thus creating the concept of hezek re’iya. Similarly, the concept that one must pay for benefit received when it comes at the expense of the giver (zeh neheneh ve-zeh haser) is expanded to include cases in which the receiver of the benefit did not actively take the benefit (as opposed to the original case of zeh neheneh ve-zeh haser, wherein one actively and without permission dwells in a area that was designated for rent). The application of this principle to situations in Bava Batra also entails an expansion of the concept of what is defined as a loss, as in Bava Batra situations, the builder is generally unilaterally building for his own benefit and the neighbor benefits only incidentally; in those cases, it is unclear what loss is entailed by the builder. On the other hand, the approach that focuses on the relationship between neighbors is not building on previous categories. From where do these laws and their authority derive? Here again, R. Kook’s insights about Halakhah are pertinent. The Torah teaches that when faced with a halakhic dilemma, “You shall approach the kohanim, the levi’im, and the judge who live in those days” (Deut. 17:9). R. Kook explains that there are two approaches to Halakhah, that of the kohen and that of the judge. The specific laws of the Torah can be analyzed according to the general spirit of the Torah, according to the power of the reasons for the Torah, appropriate to the general message of the Torah. Alternatively, one can analyze the details according to isolated study, comprehending one idea from the other without looking at the overall spirit. I find it difficult to accept R. Kook’s distinction as characterizing the difference between the Bavli and that of the Yerushalmi, as he does; there are many sugyot in the Bavli that reflect what R. Kook characterizes as Torat Erez Yisrael. The basic insight about the existence of two basic approaches to halakhic thinking, however, is often reflected in differences in approach to particular sugyot, as in our case. Thus, the approach that does not interpret Bava Batra in light of pre-existing categories views these laws as based on the general values of “ve-asita ha-yashar ve-ha-tov,” doing what is right and good. The final stage of our discussion is confronting the challenge of applying the gemara to the changing realia. The Hazon Ish, for example, views modern courtyards as serving different functions than those that existed during Talmudic times, making many of the laws of hezek re’iya less relevant. The Minhat Zevi views the Israeli law that obligates a builder to insert shutters on bedroom windows as alleviating the problem of hezek re’iya. It is interesting to note that many Hareidi posekim are open to consideration of changes in realia, and they stress that Israeli law, as well as hazakah and minhag, play a role regarding the application of hezek re’iya. In a pesak by a beit din in Alon Shevut composed of rabbis from the Religious Zionist community, on the other hand, we find a very straight application of the prohibition of hezek re’iyah. Part of the difference may stem from the fact that hezek re’iyyah poses different problems based on the surrounding community, whether a dense urban society or a private villa in an upper middle class suburb. This paper was originally presented at the 2010 Orthodox Forum. I am grateful to Reuven Ziegler, Avraham Walfish, and an anonymous reviewer for their comments and corrections, and to Meira Mintz and Chanan Fixler for their editorial work. This article was first presented at the 2010 Orthodox Forum. Orot ha-Kodesh (Jerusalem, 1985) vol. 1, p. 25. While students in traditional yeshivot may be exposed to the whole range of sources, those sources are not generally viewed on their own. In cases in which an earlier text is interpreted by later authorities, the range of legitimate interpretation is limited to those that have already been offered. For example, in yeshivot, the Yerushalmi is studied in light of the Bavli, not as an independent source. “Word-Plays in the Mishna,” available at http://www.herzog.ac.il/vtc/0039563.html. “Sukkot in Rabbinical Thought: Motifs in the Halakhah of Sukkot in Talmudic Literature,” Dissertation for the Degree of Doctor of Philosophy (December, 2003) (Heb. ), available at http://www.daat.ac.il/daat/vl/nagendoc/nagendoc01.pdf. See his book on Massekhet Kiddushin: Dov Berkovitz, Marriage and the Limits of Personal Power: Talmudic Creativity in the Eye of the Storm (Israel, 2008). The Yeshiva’s website is www.otniel.org. Nishmat Ha-Mishna, 140, n16 (see n. 5 above). The original statement of the Hatam Sofer was somewhat different: “So I do declare – anyone who mixes words of Kabbalah with the conclusions of Halakhah is guilty of planting kilayim;” Responsa Hatam Sofer, Orah Hayyim 1:51. Yakov Nagen (Genack), Water, Creation, and Immanence: The Philosophy of the Festival of Sukkot (Israel, 2008). Orot Ha-Kodesh, vol, 2, pp. 538-562. Dor Revi‘i, introduction to Hullin. Introduction to Orot Ha-Torah (PUB). Shemoneh Kevazim (PUB),vol. 2, piska 56. A title of one of Nietzsche’s works. See Rambam’s introduction to Mishneh Torah. R. Shagar, In His Torah He Meditates – The Study of Talmud as a Quest for God, ed. Zohar Maor (2008), 154. Shagar, In His Torah, esp. 92-95. Regarding lack of reasons for all mizvot, see 96. R. Kook, Iggerot Ra’ayah (Jerusalem, 5745), vol. 1, 124 (letter #103). 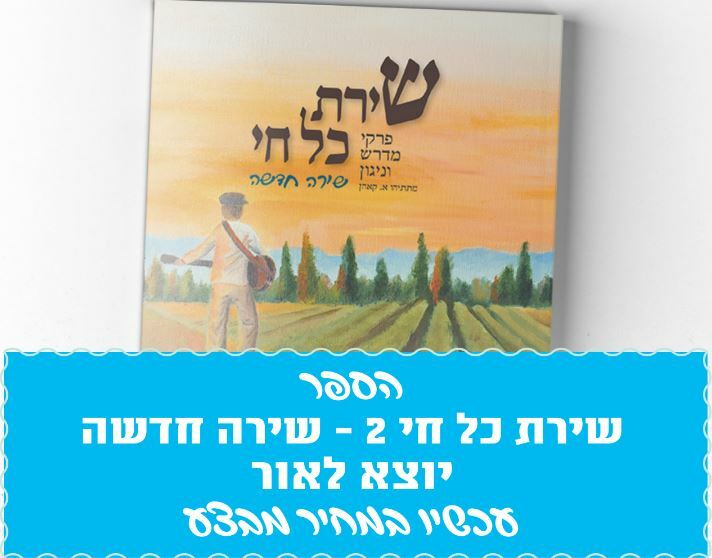 On the mishnayot of the first chapter of Bava Batra, see Yakov Nagen and Baruch Siach, “Mishnat Perek Ha-Shutfim,” available at http://upload.kipa.co.il/media-upload/otniel/otniel3619.DOC. Even Ha-Azel, Hilkhot Shekhenim 2:16. See Shamma Friedman, “Mivneh Sifruti Be-Sugyat Ha-Talmud,” Sixth Congress of Jewish Studies, (PUB), 389-402. In our text, the conclusion is presented as “lishna aharina.” In manuscripts, it is brought as “ika de-amri” (see Dikdukei Soferim). The significance of the difference is that “lishna aharina” implies a parallel sugya, whereas “ika de-amri” implies that it is all part of one sugya. See Bava kamma 20b, which quotes and interprets this mishnah. For a summary of many elements of the sugya, see Yakov Nagen and Yehuda Katz, “Mavo Le-Sugyat Hezek Re’iya,” available at http://upload.kipa.co.il/media-upload/otniel/otniel3620.DOC. That article was written ten years ago, and some of the points mentioned here do not appear. See, for example, Ramban, Milhamot Hashem, on the sugya on 4b. Ch. Mescheloff, Tov Ro’i al Bava Batra: Yalkut Bi’urim,Hiddushim, Ha’arot, Ve-Derushim shel Maran Ha-Ra’ayah Kook zz”l al Massekhet Bava Batra (Jerusalem, 5758), 13. See R. Kook’s introduction to Ein Ayah (Jerusalem, 5755), vol. 1, 16. Iggerot Ha-Ra’aya , vol. 1, 124 (letter #103). Hazon Ish, Bava Batra 12:3. See R. Gidon Pearl, “Chovat Ha-Reshuyot Le-Mnoa Hezek Re’iya,” Techumin 19 (5759): 55-59.